I thought it would be helpful to do a quick round-up of column styles, so you have it all in one place. First thing to note is that technically it’s not referred to as “column styles” but rather “orders” as in the “orders of architecture.” But let’s keep it simple. 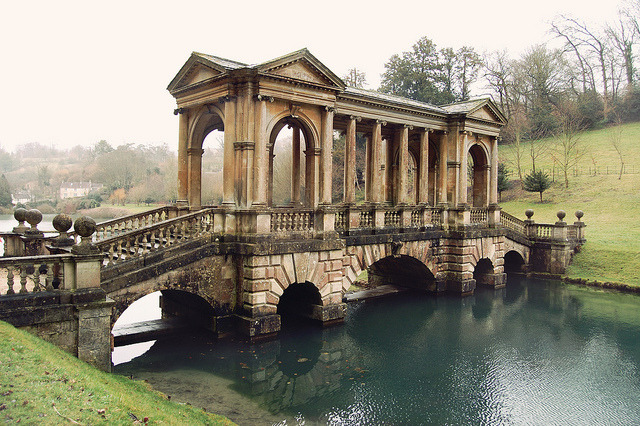 In classic Greek architecture, there were three styles, or orders, of columns, Doric, Ionic and Corinthian. 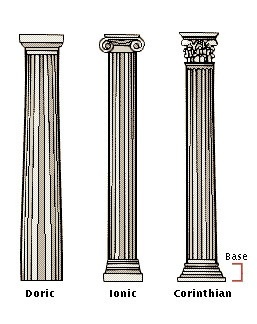 The Romans added the Tuscan column, which is simpler than the Doric column, and the Composite column, which is more ornate than the Corinthian column. 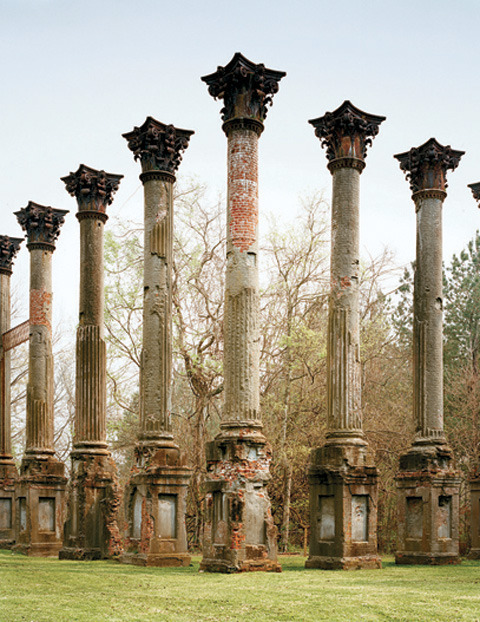 Columns typically are differentiated by their capitals, and the column shafts can be smooth or fluted. 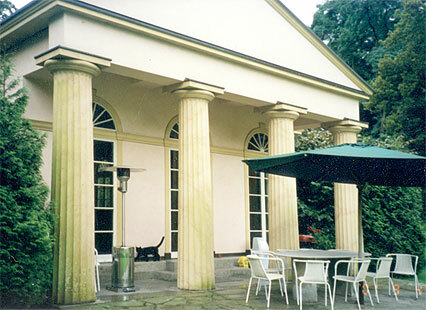 DORIC COLUMN: the simplest of the Greek columns, with a saucer-shaped base, and fluted shaft. Earliest versions had no base. IONIC COLUMN: characterized by a capital with paired, scrolling volutes. Sometimes seen with a smooth column shaft. CORINTHIAN COLUMN: most ornate of the Greek columns, characterized with a bell-shaped capital decorated with acanthus leaves. TUSCAN COLUMN: similar to the Doric column but with an unfluted shaft and a simplified capital and base. Photo Credits: 1. 2. column drawing. column drawing. 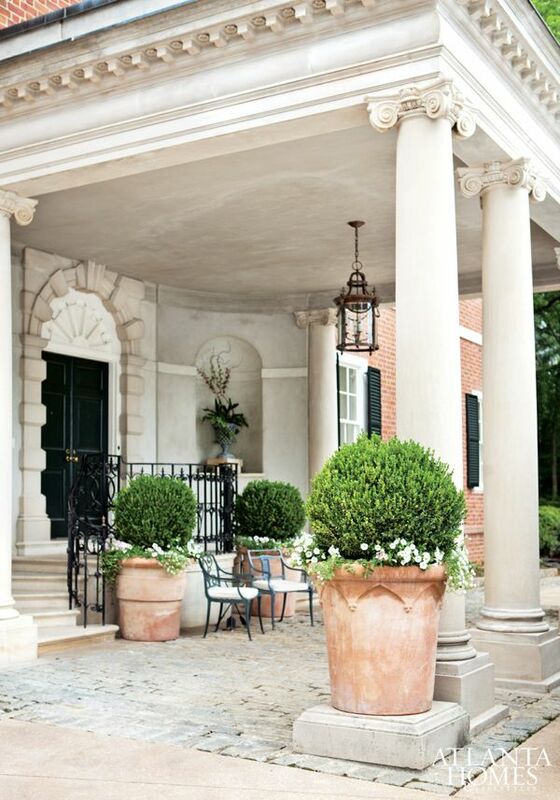 Doric column patio. Small doric column. Columns interior. Doric column pink couch. My own photo. Home office with Ionic Column. Living room with Ionic columns. 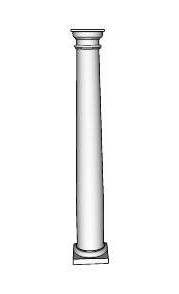 column with smooth shaft. Ionic Column with smooth shaft. Line drawing Corinthian column. column. column with chandelier. Lamp. Tuscan column. Hot bath photo. 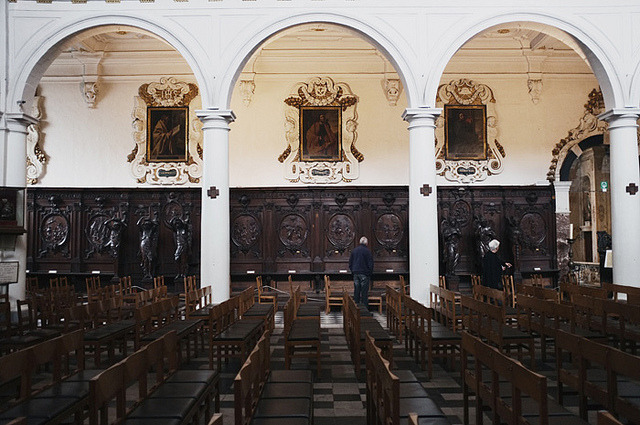 columns interior. Column in England. Composite column. column in Florence, Italy.